Printed Matter is pleased to announce an off-site location at the Carolina Nitsch Project Room. 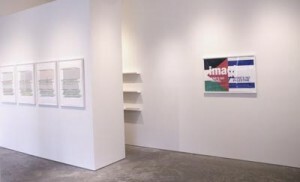 Through August 2015, the non-profit organization will program several rotating installations, including a presentation of past Printed Matter Fundraising Editions, a mini-exhibition featuring the publications of Multiples, Inc., and culminating in a satellite Printed Matter bookstore. The satellite bookstore will remain open while the organization makes the move into their future home at 231 Eleventh Ave, opening in September 2015. To inaugurate the opening of the Project Room, Printed Matter has released a newly editioned artwork by Wade Guyton, X Poster (Untitled, 2007, Epson UltraChrome inkjet on linen, 84 × 69 inches, WG1999), the second Printed Matter Fundraising Edition with the artist (now sold out). The work is on view at the space alongside a selection of other recent fundraising editions that were produced within the past two years. 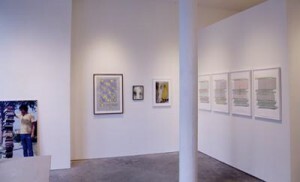 Fundraising Editions provide an important source of income for Printed Matter, helping to ensure that the organization can continue to offer non-profit programs and services to both artists and the wider public–this includes the wide distribution of artists’ books, regular talks and launches, exhibitions, a publishing program, bibliographic and educational services, and the organization of the annual NY and LA Art Book Fairs. Printed Matter Fundraising Editions have been created with the generous support of many artists, including Richard Prince, Erica Baum, Karlheinz Weinberger, David Benjamin Sherry, Israel Lund, Sara Cwynar, Peter Sutherland, Jeremy Deller, Allen Ruppersberg, Jonathon Horowitz, and others. Many of these works are still available for purchase, please enquire. Download a PDF of works on view.